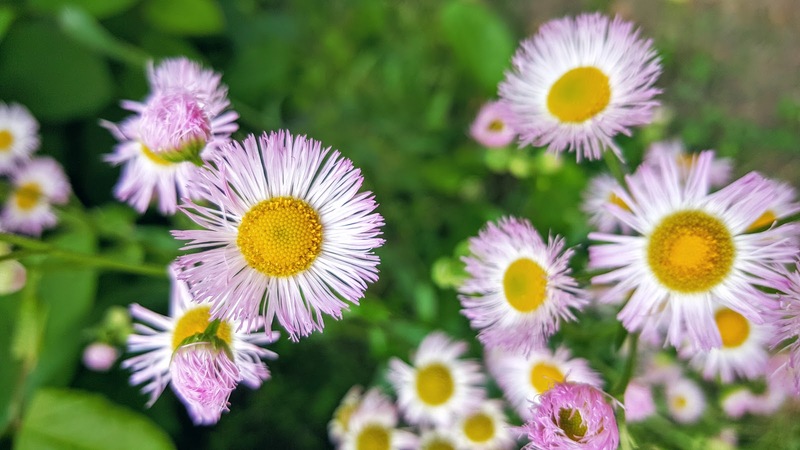 These beauties seem to be Aster, but I didn't get enough variety of photos to narrow it down to the exact type Fleabane. 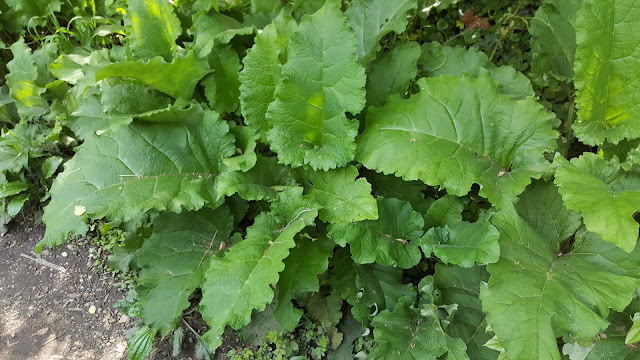 And these positively massive leaves are most likely Burdock. I wouldn't consider these anywhere near positive ID's yet. I really need to grab more photos of these guys and just as importantly, I need to give them more time to develop. The Burdock, for example, will become obvious as it develops it's notoriously 'sticky' burrs. They're so effective at attaching to clothing and fur that they were the inspiration for Velcro. Definitely one to watch. The Aster's too should yield more information with time. The more I try to identify plants the more I appreciate that just one snapshot in time isn't anywhere as valuable as catching multiple stages in the life-cycle. Update: Looks like what I thought were Asters are actually Fleabane. More proof here.